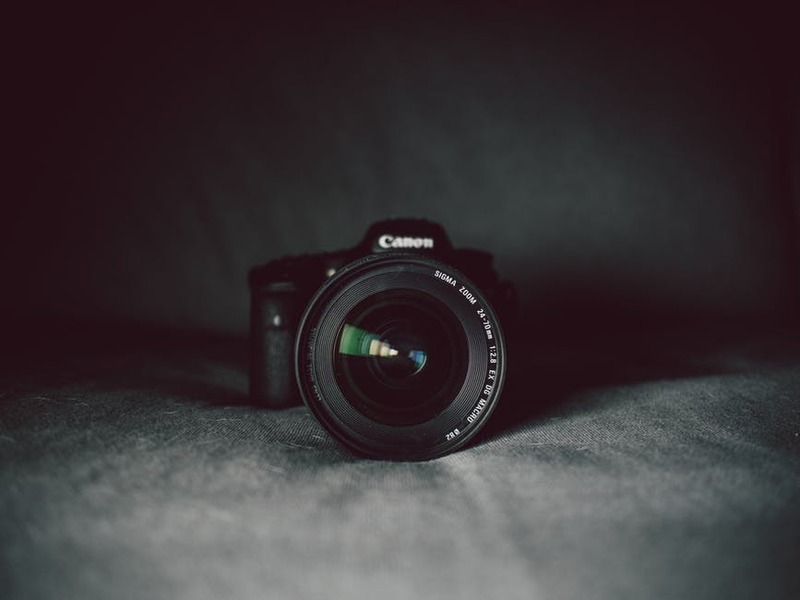 Are you deciding to purchase a Canon, Nikon, or Sony camera? 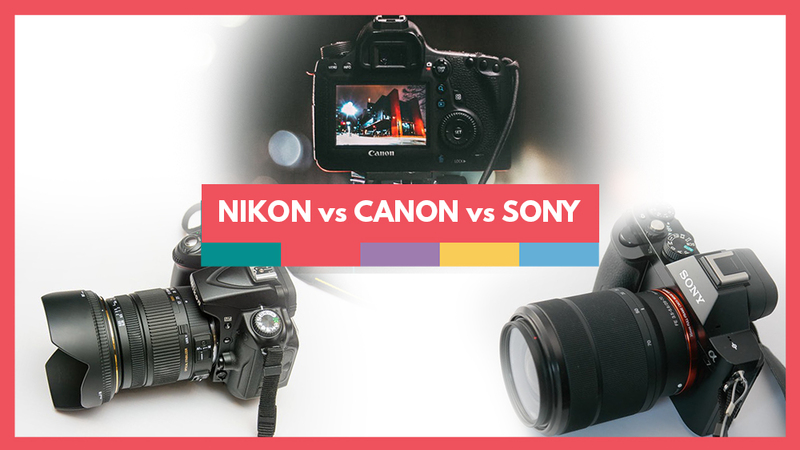 There has always been a bit of a rivalry going between the biggest camera brands. Fans proudly stick to their gear, with very few ever being willing to change over. You’ll hear many people asking whether they should go with one brand or another and the debates can get pretty heated. At the end of the day though, it honestly doesn’t matter much. It takes a lot of convincing to tell someone that it isn’t the camera that makes the picture but the photographer behind it. That being said, let’s dive into three of the top brand – Nikon, Canon, and Sony – to compare and contrast. If you give an artist and a toddler a brush and some paint you’re going to end up with two very different paintings even though they have the same tools. It’s silly to think that by getting better tools you’ll have better pictures, except in technical terms. The camera body as a piece of equipment does and does not matter at the same time. A great body will produce terrible pictures from a poor lens and poor setting by an amateur, while a consumer body can produce award winning work – just look at the fact that 500px’s top selling pictures come from an Olympus that is little more than a point and shoot! People shoot magazine covers and win awards with iPhone images these days. Technology really has reached a level where the difference between the bottom and middle is nothing and even the top isn’t that far except in price. If you are just getting into photography then what camera you use isn’t important, it’s just a learning tool, and like me you may find that once you’ve gotten things down you actually want something else. Personally, I’m looking at that Olympus! Once you start reaching a stage where you are trying to go pro or you want to sell your images the ability of the camera and the quality does make a difference. 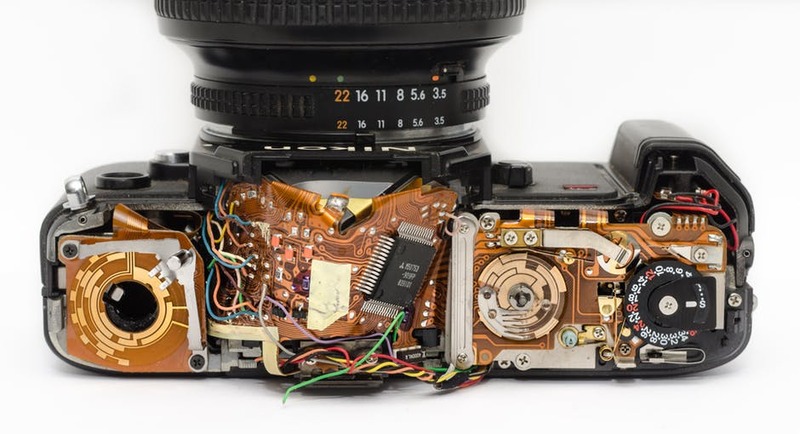 The biggest difference in any camera body is the sensor – crop sensors, point and shoot and full frame or medium format all have completely different results. Much like picking a computer you’ll find huge differences in dynamic range, noise, angles, depth of field, and the amount of pixels at it’s most basic. 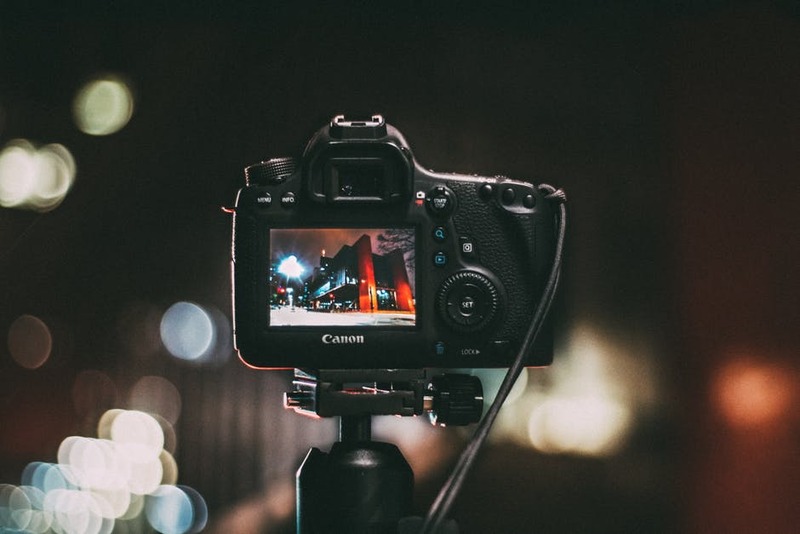 While crop sensors and full frame sensors have a small difference, if you’re using an older crop frame sensor versus a newer full frame sensor you’ll see significant difference. As far as whether full frame or crop is better? There’s not enough in it to really make that much difference for most photographers. One thing that will make or break your pictures is a good lens. Poor quality, uncoated glass isn’t going to give you the best image, even if it’s on a top brand body. You will never be able to get the isolation or lighting on a point and shoot that you will on a 50mm 1.4 lens (though Apple’s new “Studio Lighting” option has potential in the future to be able to replicate it in theory). Each photographer sees the world from a unique perspective. At the end of the day you can put two photographers side by side with identical gear and they will still take and edit the photo differently. Skills, patience, post processing, and all sorts of things about the situation as well as the photographer can change in a split second and no matter how good the body is it’s all limited by the person holding it. 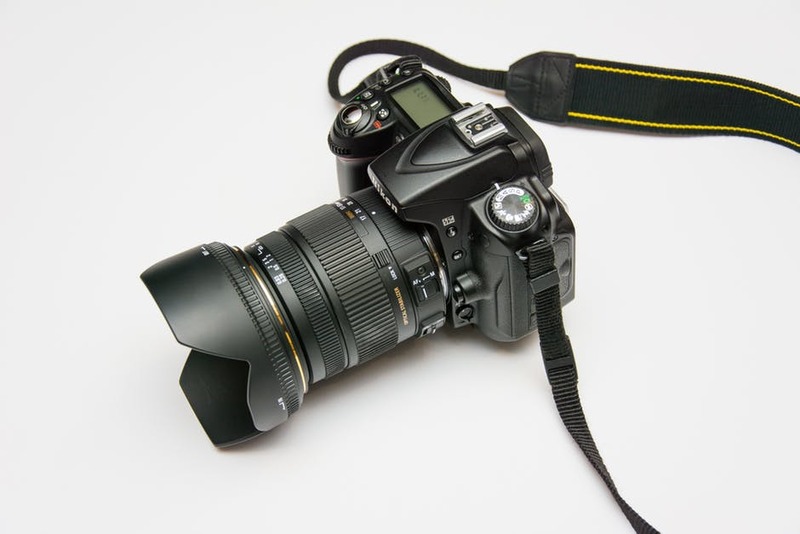 DSLRs have become increasingly popular. You just have to see the amount of “momtographers” at football games and on facebook advertising their “photography” to see that. The big names you’ll most often see are Canon, Nikon, Sony, Pentax and Olympus, then you’ll also find lens brands like Sigma, Tamron, and Rokinon for good measure. With such a selection of frankly, good brands out there it can be different to really differentiate between them. The Nikon corporation is the eighth largest chip manufacturer in the world and has products ranging from microscopes, semiconductors, binoculars and down to the humble point and shoot. The company was founded in 1917 and it is the main competitor of Canon. The main Nikon products for photographers are Nikkor lenses and the Nikon F cameras which have evolved from the 50s film era into the digital age today. Many Nikon bodies still fit an can still use the same lenses from the 60’s and 70’s onward (an option for getting good glass amazingly cheap if you’re comfortable with manual). They created some of the first DSLRs and art partners with NASA and in the last few years they have branched into mirrorless with the Nikon-1. The main competitor for Nikon was founded in 1937. It is also a Japanese company and is the tenth largest in the country. The name comes from a camera they produced in 1934 that was the prototype for the first Japanese made camera called a Kwanon and the company officially changed names in 1947. Canon became a competitor for Nikon during the 70s and has steadily grown in size and popularity. They produced the first camera with AF and the first commercially available image stabilization system on a lens. 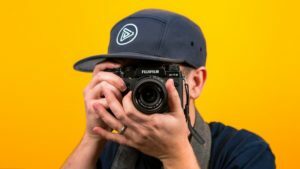 The company has made a huge move for expansion in the last few years and is more known for printing products than camera equipment but with so many recent acquisitions their ability to overtake Nikon in technology looks certain. The first Sony Camera was produced in the 90s. 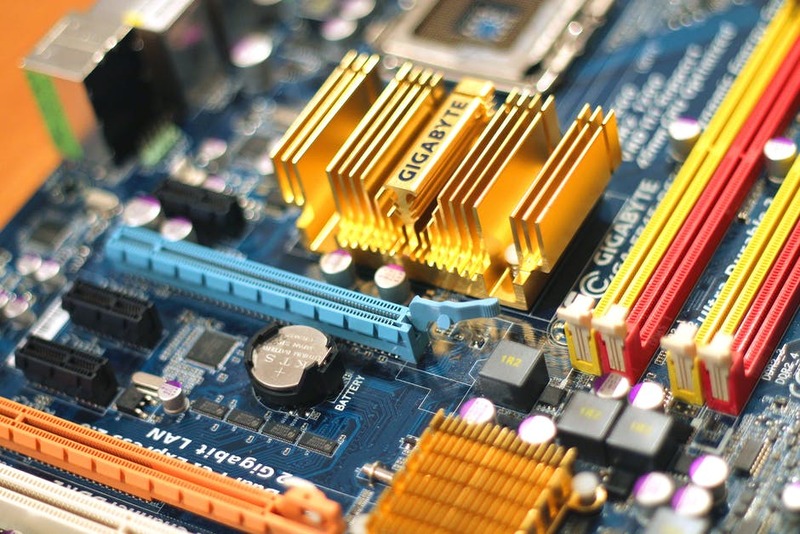 An extreme late comer, the company has been around much longer but has focused primarily on computer equipment. The company absorbed Konica Minolta in 2006 which made it the third largest camera manufacturer, though its line of equipment is still much smaller in comparison. The reason Sony is such competition is the level of computer technology in their equipment. 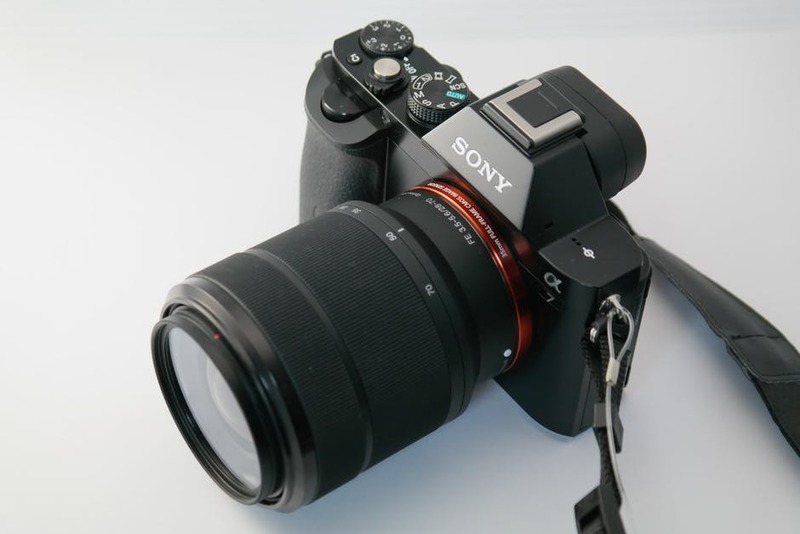 While their lenses may not be the same level, their camera bodies make up for it in their tech, especially their mirrorless line which is wholly reliant on sensors etc. What makes the biggest difference? Whether the system works for you. I actually find Nikon’s menu system superior to Canon, it’s simpler but that could also be familiarity. Once you’ve used a camera for several years you know the settings and adjustments so it’s frankly not that different to swap to another of the same brand and your difficulties with a different one could simply be a lack of familiarity. When it comes to the top end brands you’ll often find cost makes a difference. Canon tends to be a little more expensive than Nikon, and Sony tends to fluctuate around them. As an amateur or hobbyist, you may not want to invest the same amount into kit as a professional. The same goes with getting the “latest” system such as mirrorless. At the beginning of the article I mentioned that many of the people I admire shoot Canon. If you have someone who you admire who you want to learn from it’s a good idea to copy their brand choices. It will mean not having to search for the options you need when they explain and being able to follow directions much easier. This is a lot of help for beginners. No mater which brand you choose you will always find equipment or items for the other side. That’s just how it works. If you’re a Nikon user you’ll probably find Canon tools you wish you could have or vice versa. The grass is always greener in the other brand’s camp. There are advantages to all of the brands – less noise in Nikon, more usable pixels in Canon etc. Any swap over, unless you’re going for top level equipment and a pricey investment isn’t going to make enough difference. As mentioned, if you’re only a beginner then this really doesn’t matter. Until you have the skills to be a better photographer and “outgrow” the basic DSLR it’s entirely moot what brand you choose. Take the D3200 vs the D80. The D80 is 6 years older than the D3200, it has a sensor that is less than half the megapixels but has a metal body and an additional LCD that reads on the top, why? Because the D80 doesn’t have live view, but it has a motor built into the body so that manual lenses can be adjusted the same as motorized ones. You’re talking half a dozen of one and six of the other. The two cameras are both vastly different and amazingly similar and they’re almost the same price. You can take amazing or terrible pictures with both – it’s all up to the photographer.